With the holidays just around the corner, it’s time to start making plans for where to visit, what to see, and where to shop. Can we let you in on a little secret? Wilmington, Delaware and the surrounding Brandywine Valley is a great place to spend some time this holiday season and it has lots to offer to get you in the Christmas spirit. Concord Mall – The city’s second largest shopping mall, Concord has over 90 stores with plenty of dining and attractions nearby. Christiana Mall and Fashion Center – Located in Newark, this mall is perfect for those into fashion and shoes or looking for the perfect holiday outfit. There’s a reason it attracts over 20 million visitors each year. Unique shopping ideas – Museum gift stores offer a great selection of unique gifts, be sure to visit the Delaware Museum of Natural History for the science loving child or find hand-made jewellery and art at the Delaware Contemporary. The Nutcracker – Presented by First State Ballet, enjoy this classic Christmas performance with the whole family on December 9th, 15th and 16th. A Charlie Brown Christmas – The Grand Opera House comes to life this season with the live performance of this holiday favorite. Book your tickets for the afternoon or evening show on December 8th. Santa Claus Express – The Wilmington and Western Railroad Santa Claus Express runs every weekend at 12:30 and 2:30pm until December 23rd. Be sure to book tickets and jump aboard! Get yourself in the true Christmas spirit by heading to one of these local festive holiday displays! Each one has its own unique take on the festive season for you to enjoy, intertwined with pieces of local history and culture surrounding the holidays. Make a day of it and you may be surprised by what you learn! A Longwood Christmas – Enjoy the incredible Christmas floral and poinsettia display at the renowned Longwood Garden from November 26th until January 10th, including over 500,000 LED lights! A Brandywine Christmas – The Brandywine River Museum of Art offers a stunning holiday display with a model railroad and thousands of handcrafted “critter” ornaments hung on trees. 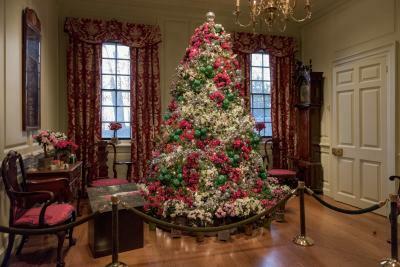 Holidays at Hagley – The Hagley Museum and Library, home to the original DuPont Company and ancestral home to the du Pont family in America, starts celebrating the holidays the week after Thanksgiving with self-guided tours of the home with its holiday decorations, and interpretations of French traditions. New for 2019 is a display of entries from Hagley&apos;s Gingerbread House contest. Yuletide at Winterthur – Visit the Winterthur Museum, Garden and Library, the 175-room former home to Henry Francis du Pont, to take in special holiday performances, music, and food, and see this mansion dressed to the nines in its holiday best showing off Christmas traditions of the past. Many people would tend to agree that the holidays are all about the food -- from delicious Christmas treats, to luxurious dinners with friends and family, to an extra glass or two of wine. There are lots of opportunities to indulge in food selections throughout Greater Wilmington, as you wine and dine your way through the festive season. Sunday brunch at Deerfield – Rated as Delaware’s best Sunday brunch, complete with a donut wall, carvery, and traditional breakfast fare. 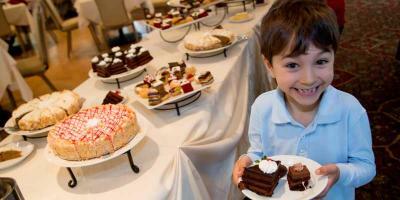 Offered on select Sundays, be sure to view the calendar to confirm, or come in December for brunch with Santa! The Candlelight Theatre – The dinner theatre is featuring “She Loves Me” from November 17th to December 23rd. 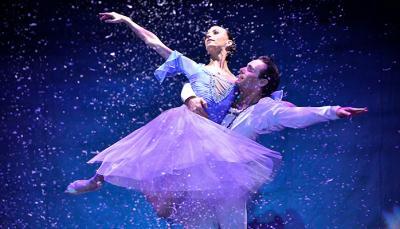 It’s a stunning romantic performance, perfect for an early Christmas gift or pre-holiday getaway. With strong historical ties, Wilmington acknowledges its ancestry and history as a big player in the traditions and formalities of the holidays. Whether you are into history, or just want to learn more about the history of Wilmington, here’s what you need to know. Historic Houses of Odessa – A unique picture of the holidays in the 18th and 19th centuries, these houses feature traditional holiday decorations and classic literature scenes. Old New Castle – This historic region of New Castle has more than 300 historic properties overlooking the Delaware river. Each year it hosts the annual Spirit of Christmas event to celebrate the season, complete with carriage rides and carolling. 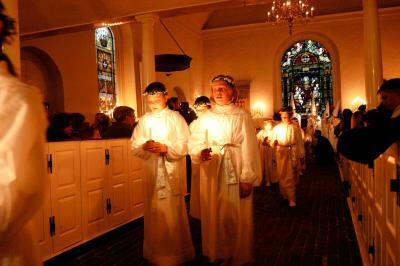 Sankta Lucia - Taking the lead from the Swedes, this event takes place in Old Swedes Church, one of the oldest churches in the country, and involves children clad in white participating in a moving candlelight ceremony. From celebrating history, to shopping, to traditions and good food, there is much to enjoy in Wilmington and the Brandywine Valley during the holiday season. Start planning your visit today with our free visitor’s guide.